Mark Hudson of the U.S. Department of Agriculture/National Agricultural Statistics Service delivered the November citrus crop forecast. The Florida Non-Valencia oranges are forecast this month at 36 million boxes, up 2 million boxes from the initial forecast last month. 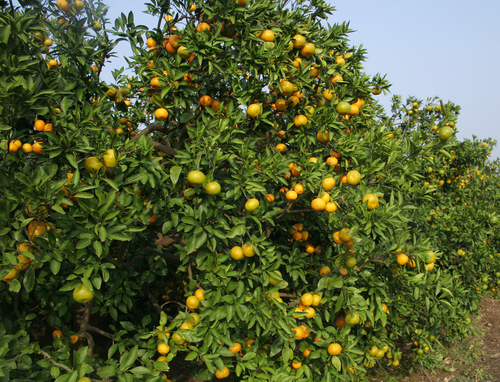 Valencia oranges remained at 36 million boxes. Grapefruit for Florida remained at 9.6 million boxes, with white at 2.1 million boxes and red grapefruit at 7.5 million boxes. For tangerines and tangelos, Hudson reported a drop from 1.65 to 1.55 million boxes. FCOJ yield was reported at 1.47 gallons per box, which is 1 percent lower than the October forecast. You will be able to tune in here for the December forecast on Friday, December 9, 2016, at 12 noon Eastern/9 a.m. Pacific time. Hudson explains the reason for the increase in the Florida Non-Valencia oranges for the November forecast. USDA/NASS Citrus Maturity Test Results and Fruit Size form.